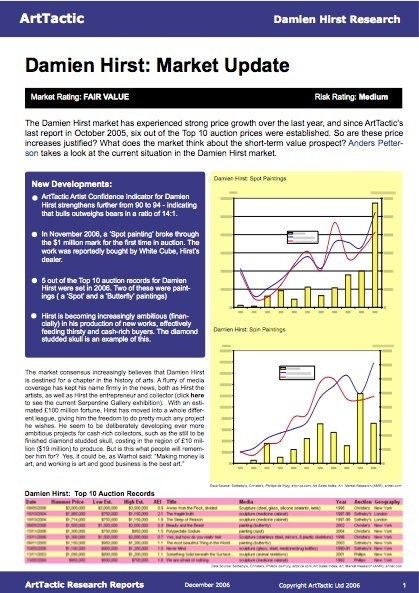 The Damien Hirst market has experienced strong price growth over the last year, and since ArtTactic’s last report in October 2005, six out of the Top 10 auction prices were established. So are these price increases justified? What does the market think about the short-term value prospect? This report takes a closer look at the market for Hirst’s spot paintings.